The Subjective Dance Company (SDC) operates as a club/network for individual dancers, as well as, other dance teams, crews, and companies while simultaneously growing as an company that provides training and opportunities to dancers. 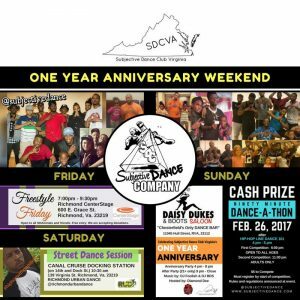 SDC has one active branch based in Richmond, Virginia titled SDCVA (Subjective Dance Club Virginia; visit page for details). Dancers of the Subjective Dance Company are called the SDAnimals; SDLions are 18 and up, SDTigers are 11 to 17, and SDBears are 10 and under. Within the company, SDAnimals from various areas, crews, studios, teams, etc. come together for performances as “ohMy! Unity Dance Team” in hopes of promoting unity amongst the dance community, exposing dancers to styles they’re not already accustomed to, and building a competitive Hip-Hop based dance team that can represent our home state of Virginia. It is a subsidiary of The BDS Company, BigBsBds inc. 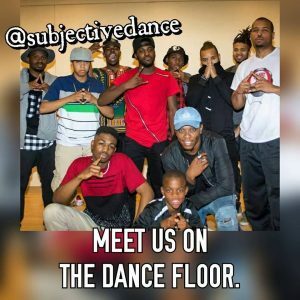 The Subjective Dance Company consists of various choreographers and is supervised by Creative Director, Gregg D. Whitlock Jr. a.k.a. Coach Gregg b.k.a. PapiiBDS. SDC is only a few years old but Coach Gregg has been choreographing and creative directing for over 15 years. To put a title on his style of choreography, which welcomes the merging/fusion of various dance styles while bringing music to life and/or storytelling, he developed the terms Subjective Dancing and Subjective Dancer. Coach Gregg believes that, like a painter, dancers create art based on how they personally feel someone should move to a particular song/sound at that given moment. That piece of art is then left open to be perceived by viewers however it hits them, whether it paints the same picture/story the original choreographer intended or not. It’s all subjective. In an effort to brand the term, he launched the Subjective Dance Company and creates platforms for unique, creative, and adept dancers. 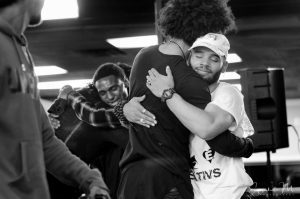 The Subjective Dance Company teaches and focuses on Hip-Hop dance styles but incorporates dancers of all dance styles with a hunger to be great, entertain, and/or battle others. 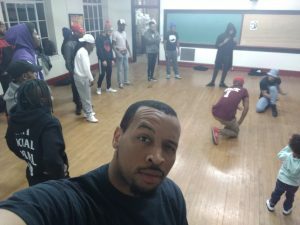 We are here to uplift performers through acknowledgement, awareness, knowledge, precision, fitness, fun, and technique. We aspire to inspire while bridging the gap between stage and street dancing. Visit us on Facebook, Instagram, or YouTube. The first official meeting of the Subjective Dance Company took place on February 25, 2016 through the activation of our first interest meeting. That meeting took place in the Gensworth BrightLights Education Center on the third floor of Richmond CenterStage, now known as the Dominion Energy Center of Performing Arts located in the Downtown area of Richmond, Virginia. SDC was originally developed to serve as an International Dance Organization, a Traveling Dance Team, a Traveling Dance School, and an Unofficial Talent Agency. Only time can tell what our future holds. The long-term goal is to launch multiple dance club branches that support our mission. Stay tuned for what state is next in line! During our first two years of establishment, we’ve successfully launched reoccurring events like SubjectiveDance BattleGrounds, a multi-part dance competition set to shine light on the street dancers and battle dancers of the local community,Freestyle Friday, an open dance session that gives street dancers the opportunity to meet others while dancing in a professional studio setting, pop-up dance classes that are open to the general public, and Technique Tuesday, a crash course dance workshop on the techniques of multiple Hip-Hop dance styles taught by special guest instructors in one setting. We’ve launched our internal company dance team, also referred to as the performance squad, we’ve launched the ohMy! Unity Dance Team, and we’ve given dancers the opportunity to be featured in music videos, participate in live festival performances, be featured on live television, compete and win in competitions, dance in some of the most established dance studios of the Greater Richmond Region, dance in nationally recognized arenas, meet international celebrities, train with industry level choreographers, train for shows like America’s Got Talent and Kid’s Got Talent, and more. Our efforts have also lead to members being booked for contracts servicing GEICO, local organizations, ESPN, and more. Ultimately, we’ve developed the ability to provide opportunities for dancers to get paid for doing what they love and/or experience adventures they normally wouldn’t receive. We aspire to inspire. We’ve been continuously growing our network by meeting, partnering with, and networking with established dance organizations and passionate individuals of the Greater Richmond Region and assist in the raised awareness of activities of various Richmond based dancers and dance organizations.